When Japan bombed Pearl Harbor, many Americans were understandably enraged. One person was so enraged, in fact, he fought the US military for the right to fight the Japanese. When he got his chance, it turned out to be an explosive experience. Jacklyn Harold “Jack” Lucas was born on February 14, 1928, in Plymouth, North Carolina. Sadly, Lucas was just 11 when his father died in 1939. Unable to cope with the loss, he became quite a handful, forcing his mother to enroll him at the Edwards Military Institute in Salemburg. It was a good call because the school gave him the discipline and direction he needed. Already big for his age, he was a natural sportsman – taking up baseball, basketball, softball, wrestling, horseback riding, shooting, and hunting. Then Pearl Harbor happened. Lucas was furious. 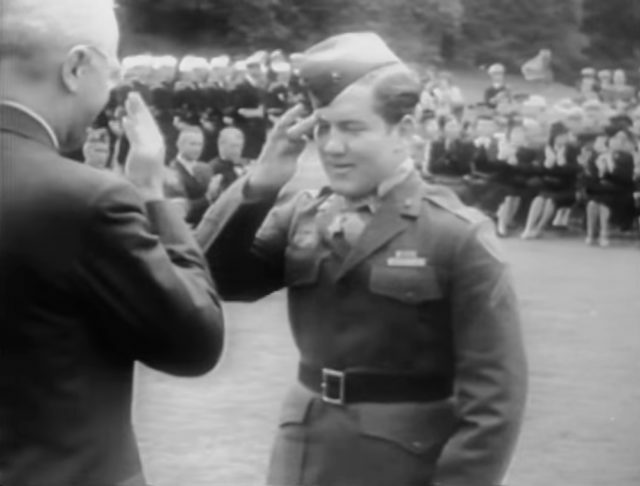 He was 14 at the time, 5′ 8″ tall, and weighed 180 pounds of mostly muscle that he wanted to use against Japan. There was only one problem. The minimum age for enlistment was 17; with parental consent. He begged his mother to lie to the authorities but she, of course, refused. Lucas was not to be deterred. After filling out the consent form and forging his mother’s signature, he arrived at the Marine Corps Recruit Depot, in South Carolina. Due to his training in Salemburg, he passed his rifle qualification with flying colors and was deemed a sharpshooter. In June 1943, Lucas was with the 21st Replacement Battalion at the Marine Corps Air Station, North Carolina. Then he was transferred to the 25th Replacement Battalion at Camp Lejeune, North Carolina where he qualified as a heavy machine gun crewman. On November 11, 1943, Lucas walked into Camp Caitlin in Oahu, Hawaii – excited at being one step closer to his dream of avenging Pearl Harbor. He became a private first class the following year on January 29. Wanting to share his excitement, he wrote a letter to his girlfriend, but she never received it. The military censors read it and were not happy to find out that he was just 15. However, they did need manpower, so they assigned Lucas to truck duty on the base. He then got into fisticuffs with several Marines which got him court-martialed and sentenced to five months in a stockade; breaking rocks with a diet of bread and water to blunt his temper. It did not work. 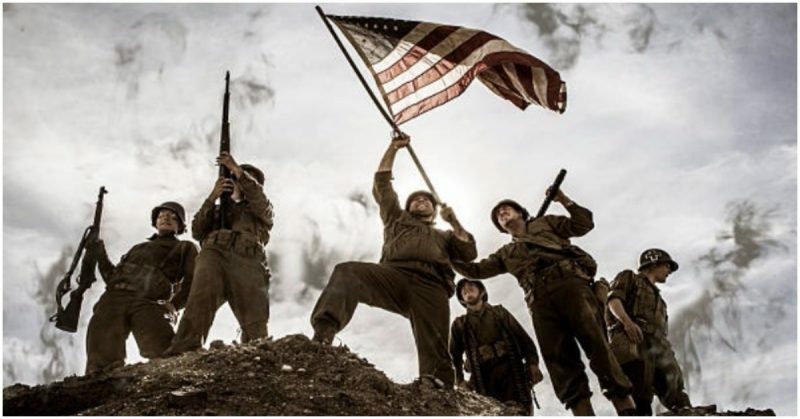 On January 10, 1945, realizing he would never be allowed to fight in either Europe or the Pacific, Lucas walked out of the camp with just his boots and fatigues. He was declared on UA (Unauthorized Absence). 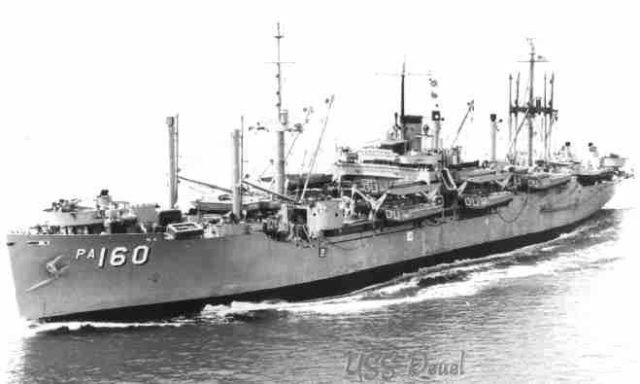 He stowed on board the USS Deuel which was headed for the Japanese island of Iwo Jima which he had never heard of. He turned himself in on February 8; one day before being officially declared a deserter. As the ship could not turn back, he was demoted to the rank of private. He was then reassigned to the 1st Battalion, 26th Marine Regiment of the 5th Marine Division under Captain Robert Dunlap of C Company. He became a rifleman. On February 14 he finally turned 17. 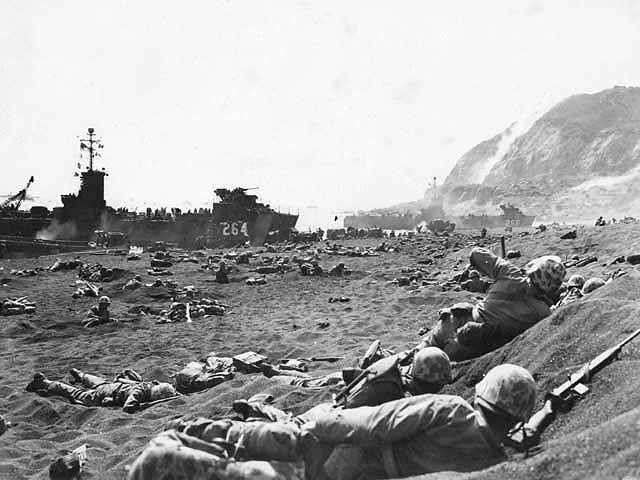 All Lucas cared about, however, was getting to Iwo Jima – which he reached on February 19. Despite his need for revenge, he later claimed to be grateful for not having been part of the first assault group. In the first day of fighting, alone, 2,400 Americans lost their lives. On February 20 the US Air Force bombed Japan’s central islands. Lucas and three Marines were creeping towards an enemy airstrip when they came under heavy fire. They jumped for cover into a nearby trench. Unfortunately, there was another trench running parallel to it containing Japanese soldiers. They exchanged gunfire. Lucas managed to hit two of the enemy before his rifle jammed. Furious, he bent over to unjam the weapon when his eyes widened into saucers; on the ground were two grenades. “Grenades,” he yelled as he threw himself on them jamming one of them into the soft ground and covering it with his body while pulling the other one beneath him. The first of the two grenades exploded, throwing Lucas on his back, severely wounding him in the right arm, wrist, leg, thigh, and chest. He was barely alive after the blast but was still holding the other grenade, which did not explode. 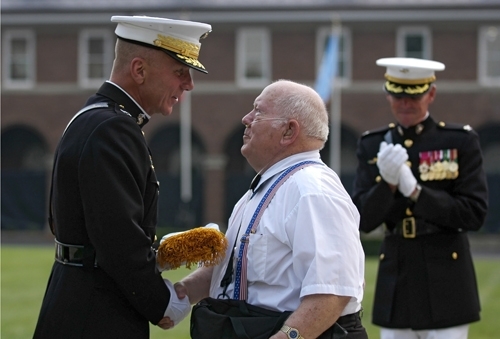 Lucas receiving a Medal of Honor Flag on August 3, 2006. The other three Marines were unhurt. They thought he was dead and left him behind. He came round as another group passed and managed to wave the fingers of his left hand to let them know he was still alive. The “UA” was removed from his record, and he was made a private first class. 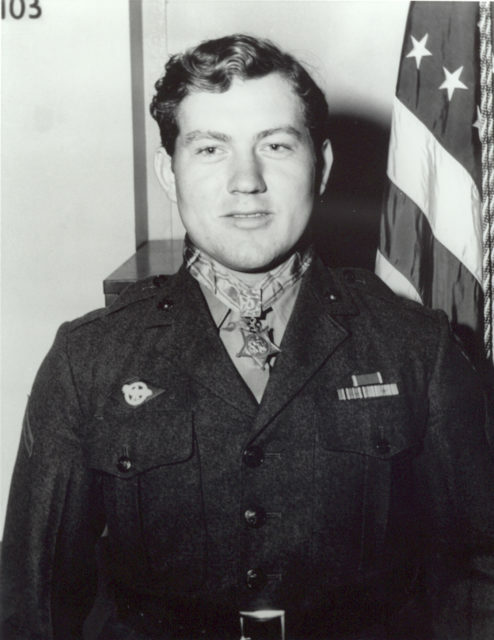 He received the Medal of Honor on October 5, 1945.